Two of ONE Casey's centres, which are already open seven days a week, are among the first YMCA Victoria managed gyms to operate 24/7. These are at Casey RACE and Endeavour Hills Leisure Centre. This exciting development means that we will be able to offer members the ability to break down the barrier of time and ensure that they have every opportunity to reach their health and fitness goals at Casey RACE and Endeavour Hills Leisure Centre. At the YMCA, we aim to help people become healthier and happier so removing barriers to entry and providing options that suit all lifestyles is important. If you would like any other further information not listed on our FAQ or are interested in becoming a member at ONE Casey, please call us on 9705 5000, join online or fill out the enquiry form and a member of our staff will be in contact with you shortly. * Our aim to have the gym open for the maximum amount of time. However at Casey RACE, due to Women’s Only Swimming there will be a two hour period, each Saturday evening between 8pm - 10pm, when the Casey RACE centre will have restricted access and be available for women only. Endeavour Hills Leisure Centre will be unaffected. Why has ONE Casey introduced 24/7 access to its health clubs? Endeavour Hills Leisure centre will be accessible 24/7. At Casey RACE, there will be a two hour period, each Saturday evening between 8pm - 10pm when the centre will have restricted access for women only. This is to fit in with the Women's Only Swimming done at the centre at the same time. Please contact Casey RACE on 5990 8600 or Endeavour Hills Leisure Centre on 9213 1400 during staffed hours or visit us in centre to resolve any issues. Why is the gym at Casey ARC not going 24/7? 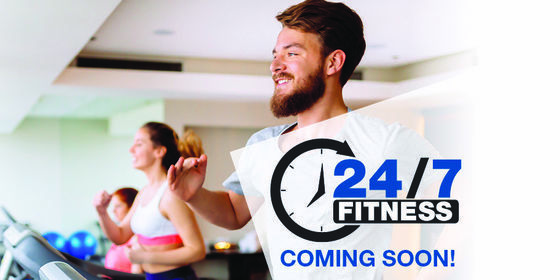 Casey RACE and Endeavour Hills Leisure Centre are trialling the 24/7 gym. Casey ARC may be considered in the future.